Band on the Run is a company that has a unique story to tell. 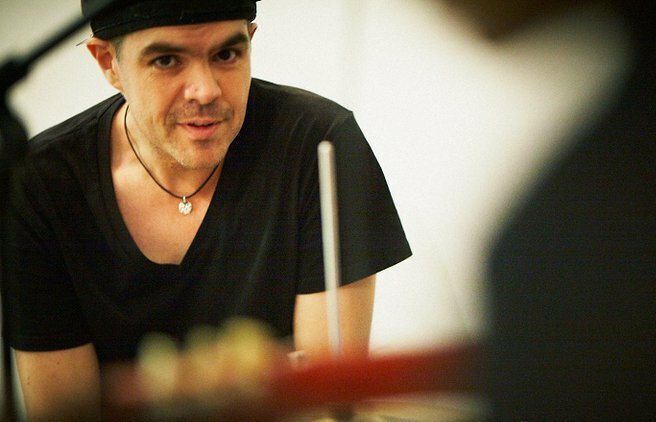 The business model came to life eleven years ago when founders Simon Hyett and Kalliope Coplin – who had become fast friends performing together in a well-regarded pub band – decided to start a full-service entertainment company. 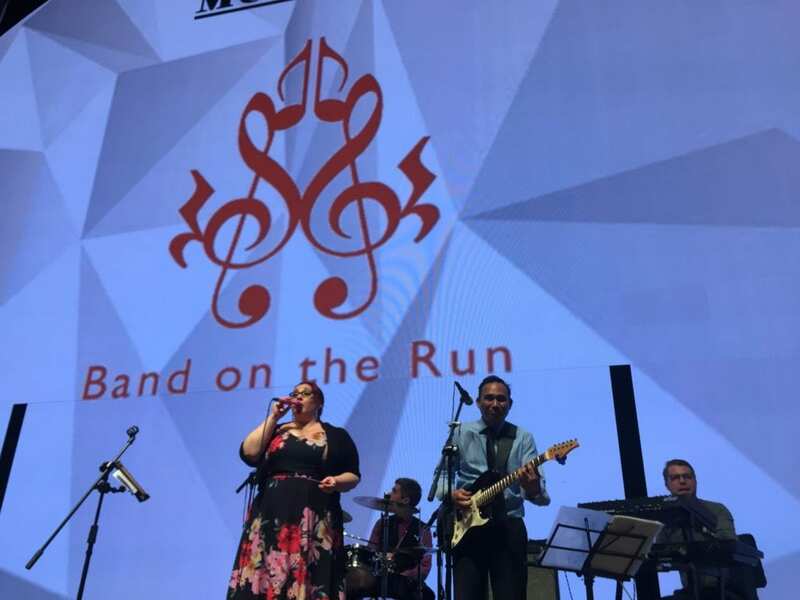 Over a decade later, Band on the Run, which customises its myriad live music options for each and every unique corporate event and private client, is still carefully listening to clients’ detailed requirements and goals. All this while providing bespoke entertainment that is full of energy and heart, fuelled by passion of understanding clients’ goals, be that commercial, personal or simply making mayhem and making people dance. For Band on the Run, creating unforgettable experiences and successful events is a fundamental tenet of the business model — offering consultation, assistance and planning advice for any event with a unique entertainment perspective. As a client, you’ll join Simon and Kalliope, sometimes without much of a plan and leave with a grade-A proposal and range of ideas that will leave your guests with memories that last a lifetime. Life is short, say Simon and Kalliope, and thus they aim to make every moment of your function, be it a small conservative client soiree, bluechip gala dinner, or major conference ending party, stay with you. 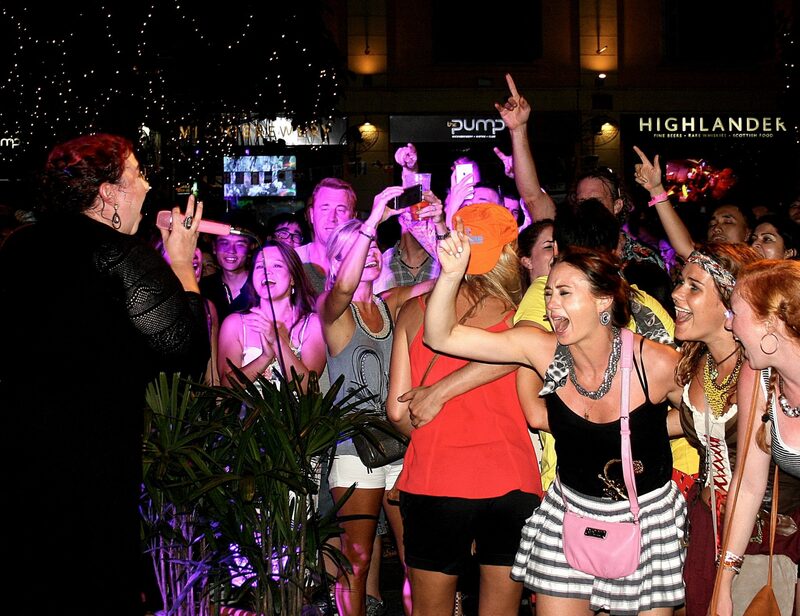 Creating memories for both large companies like Etihad Airways and Cartier to private events of ten or twenty guests, the team at Band on the Run employs vastly different approaches to cater to various scales but never allowing the desired tone or soul of any party to fall below its exceptional standard. For example, 10.seconds, the company’s leading party band, prides itself on being the top corporate party ensemble in the region, while Fuchsia is a multi-genre ensemble that caters to smaller private and company parties. When a different approach is requested, an often requested Band on the Run product constitutes pairing a solo instrumentalist, like a saxophone or a violin, with a DJ. We at Men’s Folio can attest to this. Band on the Run, with 48-hours’ notice, supplied our team with a classy and chic performance by a roving saxophonist for our recent Summer Party’18. Our many VIP guests were entranced by the amiable and relaxed mood generated by this exceptional soloist. Men’s Folio spoke to the two passionate founders to delve deeper into the reasons behind the success of Band on the Run. Which event over the past two years are you most proud of? We were honoured to be involved in the first chamber of commerce gala event in Myanmar history when we flew into Yangon for the British Chamber of Commerce Ball. Although it is slightly more than two years ago, we performed at the International Symposium of Paediatric Neuro-Oncologists for doctors who truly save the lives of children on a daily basis and conduct vital research. We couldn’t think of a group of professionals who are more deserving of a party. There are so many examples each year of when we feel humbled by our many repeat clients who trust us and hand their event to us, so that we can produce a unique and memorable experience. Each year we produce the A/V and entertainment for a major educational institute’s founder’s day. This event calls on our production management, vendor relations, artist relations and performance experience, as we consult on and plan the day with three-months lead-up. On the day itself, up to 2,000 students and family members enjoy the festival, which is the truest measure of its success. We are very proud of our involvement with this client. How far can you go in organising a bespoke event looking like no other? With over 10 years of experience and having some very unusual requests come through our doors, organising bespoke entertainment is our fundamental USP. Recently, Forbes Magazine ranked Singapore as the fourth most influential city in the world (after London, New York and Paris), the city-state is one of an elite handful of top-tier global MICE destinations, and as such the event and party planning market is overflowing with energy, enthusiasm, colourful and unique ideas. Singapore’s melting-pot of cultures, cosmopolitan populace and event-friendly atmosphere combines to form a wonderful positive challenge for us to remain more than just relevant, but ahead of the game. From an entertainment perspective, we are both fortunate and delighted to be at the forefront of this industry. Whether it be a unique cultural experience for overseas delegates of a major international conference or a unique idea for a 40th birthday party in a private garden (we just handled the entertainment at a 70th birthday house party where the host booked bumper cars to drive around the garden), whether it be a bilingual singer at an office party of a dozen colleagues or a luxury lifestyle festival like the Singapore Rendezvous, we have the experience and creative consultative capacity to fulfil any client’s unique brief. What are your typical client? More corporations or private persons? Fortunately for us, there is no typical client. Every client is wonderfully unique. In one 24-hour period last December, we produced a chamber of commerce event for a foreign prime minister in the grounds of a church, sent an artiste to perform at a Singaporean co-working space company’s charity art show, had one of our top club DJs perform at private house party for a 50th birthday, and our top party band product (10.seconds) performed at an international office of an interior design company’s Christmas party, to then back up at a London Magic Circle law firm Christmas Party. The guest numbers ranged from 12 to 300 and every single one of these five clients is a repeat client. How do you see Singapore evolving on the entertainment scene? In the decade and a half that we have been resident in the Island Republic, the Singapore entertainment scene has burst to life. We thank and respect an amazing generation of local musicians from the 1980s and 1990s, who were steadfast and determined in forging a generally under-supported and under-valued, and somewhat underground, entertainment scene. As Singapore has developed strong indigenous industries and blue-chip organisation, and emerged as a leading destination for MNC regional HQs, the corporate party scene has solidified into one that is absolutely first class and overflowing with opportunity, if like us at Band on the Run, one has the experience and vision to meet the requirements and match the vision of our clients. In terms of the private party sector, Singapore’s citizenry’s wealth has grown to match the nation’s amazing developmental story, couple this with the many affluent international executives and the party scene is right before us. Do you miss your time when you were both performing in bars and public spaces? Not at all, because we still do – all the time! It is vital for us to remain at the heart of the bar and bistro scene and generally in the public’s field of vision. This is for a number of reasons. Firstly, our creative fitness – we need to remain accountable to our followers, challenged by new material and ideas, and develop accordingly. Playing the bar scene allows us the latitude to perform challenging and fun music that is not as digestible to the corporate or private party guest. The second reason is that we need a platform – we need a public stage – where we can invite prospective clients to see us and our entertainment products, meet us, sit down with us on a break, get to know and trust us. Oftentimes, we are asked for videos, showreels and demos and while we can provide great samples, nothing speaks as loudly as coming to a live show where “what you see is what you get”. We have signed countless major agreements on dark wood pub tables under dim, after-midnight lighting. A third reason is to network, meet people, have a drink and spread our message, whether that be with a Singaporean newly-wed couple, a group of tourists, a group of executives on the town after a hard week or a couple of friends having a quiet cocktail. Finally, we want a platform to entertain our friends and simply relish in the love of what we do. We have been the Friday house band and entertainment partners for a number of months now with the fabulous team at McGettigan’s Irish Pub at Clarke Quay. Mark and the team have provided us with exactly the “marketing” platform that we require to grow our business. But it is more than that – we feel part of the family and organise many of our own social engagements there. So, our relationship is the truest form of symbiosis. We would couldn’t ask for better supporters in the public space. One artist who has had a major influence on you both? I think if we all admit it deep down and put on our self-indulgent “creative-type” hats on, American progressive rock band Toto is a major influence on our artistic journeys from childhood to professional musician! In fact, this highlights the very point we made above, Toto is not altogether best-suited for corporate work or private parties, but our sheer love and awe for these gentlemen escapes when we are on public stages. Further to that, we love great 70s funk, adore performing the greats by female Motown legends and classics by female jazz legends in our lounge and jazz band products, and very much enjoy performing the great 80s hits, particularly at private parties. We also recognise how important it is to stay on top of music fashions and are currently adding tracks particularly in the party band by artists such as Bruno Mars, Adele, Charlie Puth, Ed Sheeran and a few pieces containing wonderful messages for younger fans, from the movie the Greatest Showman. Whether your party is intimate or grand, if you are hoping to throw the greatest show for your guests, head over here to find out how Band on the Run will partner you in achieving an amazing experience.